We love the Great Lakes year round, and so should you. But what better day to show your love for the Great Lakes than on Valentine’s day? 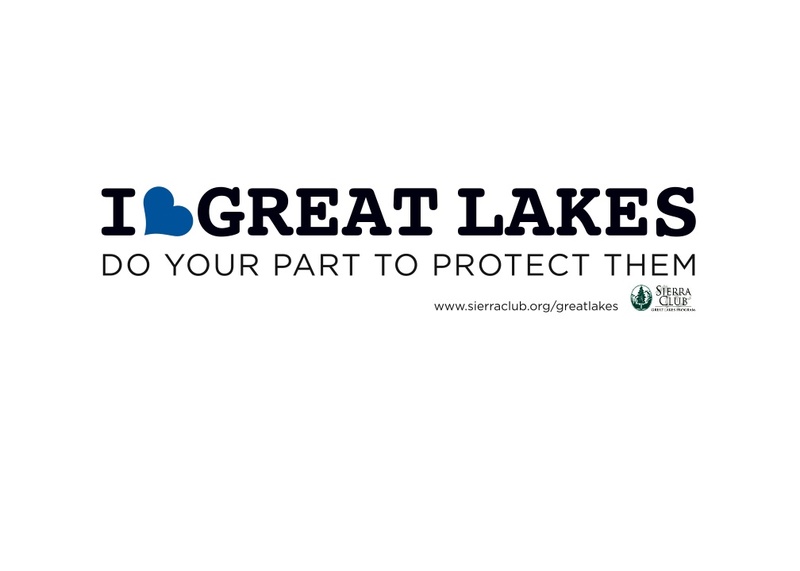 The Sierra Club’s Great Lakes program has been asking people to show their love for the Great Lakes by sharing pictures of themselves visiting the Lakes with their sign. You can see some examples and read more about them on their Great Lakes Blog. And you can check out some pictures and more on their Facebook page. As we inch closer to spring and think about getting to spend even more time on the Lakes, you can find a number of ways to get involved in helping protect their beauty and protect the environment at the same time. Visit the Great Lakes Forever site for a number of suggestions on how you can be involved in helping the Great Lakes out, and links to even more resources and options. No Valentine’s Day would be complete without a gift for someone special. There are plenty of options out there to share your love of the Great Lakes (like this t-shirt as just one example). Or choose one of your favorite Lake Michigan photos from our photo collection to send as a Valentine. And of course you can always help spread the word about Lake Michigan issues and some of the important work being done to keep the Great Lakes great by sharing our Facebook and Twitter pages, and this blog. Think warm thoughts as spring approaches, and continue to show love and support for the Great Lakes.